Transformation of the Day: Carla lost 40 pounds. She struggled with her weight for years, along with night sweats, insomnia, mild depression, and anxiety. Her desire to be a healthy and fit example for her daughter led her to change her lifestyle. Being very honest with herself about what she is eating and tracking her food intake was vital for her. Check out her story. 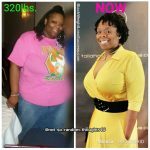 Transformation of the Day: Destiny lost 120 pounds by embracing a vegan lifestyle. She began her journey with a 30 day Raw Vegan cleanse which allowed her to shed 32 lbs. This month marks her three-year vegan anniversary. Check out how she released the weight. Transformation of the Day: Queava lost 195 pounds. After fleeing from an abusive marriage, this mom of five connected with women who taught her how to use fitness and nutrition to deal with stress, anxiety, and depression. Check out her journey. Transformation of the Day: Christian lost 80 pounds. Her turning point came when she was faced with having to increase her clothing size because size 16 clothes no longer fit. She decided to make some serious changes and commit to a healthy new lifestyle, which has now led to a career in the fitness industry. Check out her amazing transformation. 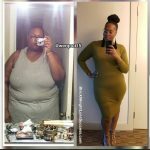 Transformation of the Day: Portia lost 166 pounds by having VSG surgery, working out 5-6 days a week and finding healthier alternatives for her favorite foods. She thinks that there is a huge misconception that bariatric surgery means that a person didn’t have to work hard to lose weight. Check out her story. Transformation of the Day: Italia lost 51 pounds. 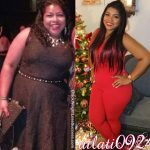 This Panamanian sister wanted to be healthier, feel better about herself and feel better in her clothes. She got results by cutting junk food, cutting back on carbs and working out five days a week. Check out her story. Transformation of the Day: Lynn lost 71 pounds in 6 months by embracing the Ketogenic lifestyle. 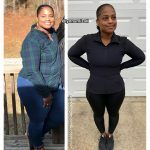 She found keto and cardio to be the perfect combination. Creating specific and realistic goals was also crucial to her success. Check out her story. 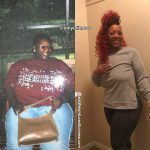 Transformation of the Day: Monica lost 130 pounds. This grandmother of 2 was sick and tired of being sick and tired. A stressful divorce, lupus, and fibromyalgia could not stop her. She changed her relationship with food and with herself. Being vegetarian and working out six days a week works for her. Check out her journey. Transformation of the Day: Nathia lost 75 pounds. She simply wanted to be healthy, physically, spiritually and emotionally. 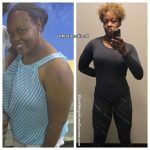 Tired of yo-yo dieting, she exercised and ate healthy food to transform her body and her lifestyle. Check out her story. She embraced a Ketogenic lifestyle in 2016 and hasn’t turned back. She has also developed a love for weight training and is working to become a Powerlifter.